Giving themselves a lot of slack not announcing which season it is. Makes me think that they're aiming for it to be open by summer but not willing to commit. I'd imagine we'll get the name and official details a few weeks after the release of Fantastic Beasts 2, taking advantage of the hype from the film without it getting lost amongst it. 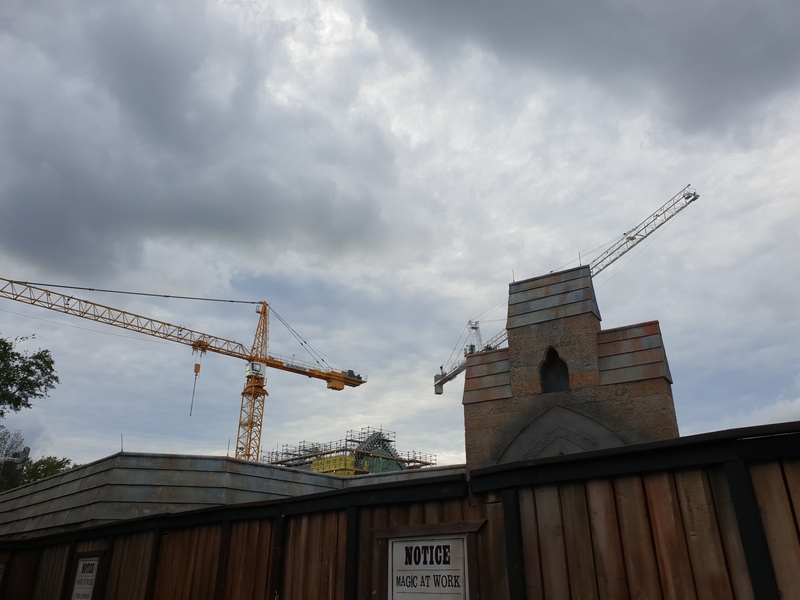 Tiniest of glimpses of the new construction from Hogsmead. Seems like a fairly ornate, almost Cathedral like building being made. From Flight of the Hippogriff you get a brief look down into construction, slightly obscured by the trees. It seemed that the ride went through many levels of building, or at least scaffolding, with an overbanked turn looking like it should go through or around a building. Only got a couple of seconds glimpse at it all, but it gave me Phantasiland style vibes. The best spot for photos seems to be the express queue for the train from Islands of Adventure. So I'm sure I'll head that way at some point this week. Edit: Not much can be seen from the express line now. Buildings and trees are in the way now. 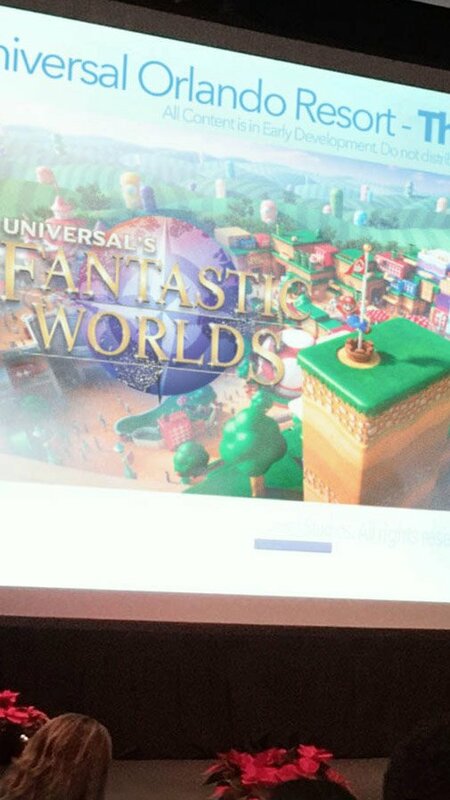 Looks like the name of the 4th gate at Universal Orlando will officially be named: "Universal's Fantastic Worlds"
Rumor has it that this new park will be unlike anything ever done before, with the park areas being called 'Worlds' which will hold mini lands inside of them. E.g. Nintendo world having a Mario land, Zelda land and Pokemon land inside one 'world'. Current rumored worlds are Nintendo, Fantastic Beasts, Dreamworks, Jurassic World and Star Trek. Looking forward to more info! I will always be suspicious of blurry, angled 'leaks'. The BG is a previously released picture and that logo, although very professional is something one person could put together. I'm excited both at a Nintendo world and the prospect of a park filled with Diagon Alley quality theming. That said, some of the leaked worlds I'm not to sure of. Is a third Harry Potter land needed there is still a large amount of land on the 'London' side that could be filled with 2-3 large rides? Does Jurassic World have the popularity for another land? 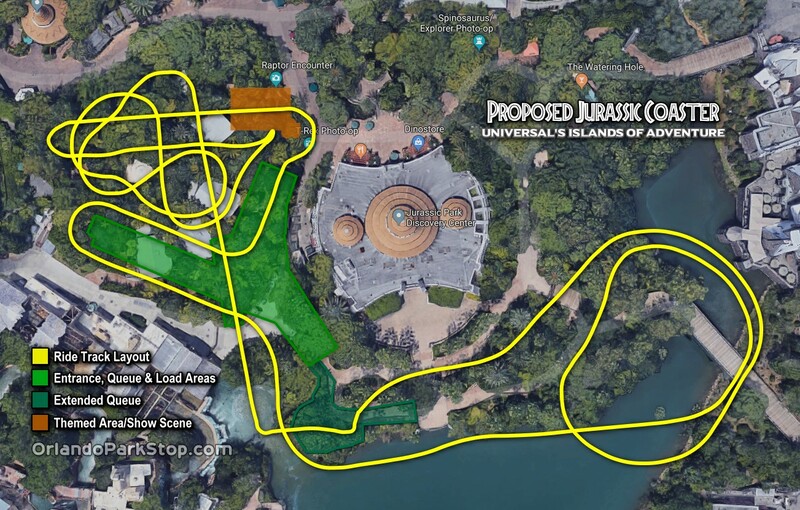 Dreamworks makes a lot of sense though and they already have a bunch of rides they could quickly put in it..
I’m quite certain that it has been said that the current JP area in IoA is being rethemed to Jurassic World when the new coaster is installed. Apparently that originally was going to be the case due to the re theme of the Hollywood ride, however internal plans have apparently changed due to this new park and other projects in other parks. According to reliable sources Universal wants to sell the idea of a 'Storytelling' resort, with multiple lands in multiple parks to be a cohesive experience. As with Wizarding World in both parks and a new Fantastic Beasts one to be set in the past in a new park. Universal Studios Beijing is currently being built and is having a completely original area dedicated to Jurassic World, so the current rumor is we will be seeing a larger clone of this world at the new park. So then the US can have 2 different versions of the River Adventure ride, one that's more iconic and one that's more new. The new coaster is a tricky one, we know its happening, with are pretty sure of the type (Intamin Blitz) and the tricky one is a theme, which is something more associated with Jurassic World, Raptors. Is a third Harry Potter land needed there is still a large amount of land on the 'London' side that could be filled with 2-3 large rides? Does Jurassic World have the popularity for another land? Dreamworks makes a lot of sense though and they already have a bunch of rides they could quickly put in it..
Potter sells, its Universals big money maker, they'd be stupid not to feature it in a new park. There was a rumor that Fear Factor would close to have a ministry of magic ride built there, but has since been moved for the Fantastic Beasts area for the new park due to the success of the films, set in a different time period to the other lands and how the various ministries have important roles in the films. As for Jurassic World, the last movie made $1.3 billion so I'd say its pretty popular. The train from London to Hogsmeade was inspired and far better than I would have thought, having a third Potter land would undermine it a bit, especially as there's no way of them doing another sort of 'journey' like that. A third potter land put putting too many eggs in one basket, spreading the damage to every park should the franchise wane in popularity. The new park needs to jusfify its existence and to offer something they wouldn't expect at the other parks. Disney had the problem with Avatar in that whilst it attracted lots of people, it just took crowds from other parks, it wasn't enough to get people to extend their holidays or take holidays specifically to see it. Universal will want, and need their new park to get people booking new holidays and extending their holidays specifically to see Fantastic Worlds. Not just deciding to spend a day in the park instead of at Volcano Bay or a second day at the others. (taking a day away from a Disney park isn't quite as bad but still not as profitable). I ain’t so big on these 2 topics, however I know Pokemon is very popular globally with youngsters and people my age +5 years maybe.. and obviously incredibly popular in Japan. As for Nintendo, again very popular, especially with Japan. The fact DreamWorks and Fantastic Beasts is there is just to add more story/depth..
To be honest I would totally go to a park that's nothing but Nintendo. I can see the Mario Kart ride being the best ride in the world if it even just gets close to delivering on its promise and the Zelda and Donkey Kong rides are all sure to be unique too. Weirdly there's no Pokemon ride planned but a "Pallet Town" must be something they'd consider as an expansion. They'll have to work hard with the Fantastic Beasts and Jurassic World areas to show they're not just scrapping some espansions/refurbs in areas of IoA and Universal that need some life put into them. 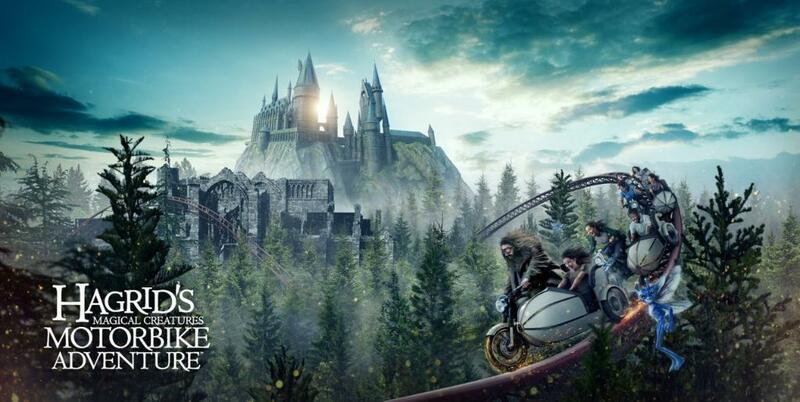 On an unrelated note looks like we've got all-but-confirmation that the Dark Forest coaster is going to be using Hagrid/Sirius' bike like the early rumors said. Will be interesting for capacity (although there are lots of brake blocks on the layout and the drop section splits to take two cars). Will be interesting what the drop track feels like on a more exposed bike with less of a handlebar. Universal Studios Orlando have announced that Halloween Horror Nights in 2019 will start earlier than ever. This year's started mid-September, how close will they get to starting in August like Disney? I thoroughly enjoyed this year's event, and if you'd like to know more about it, I wrote about it here. 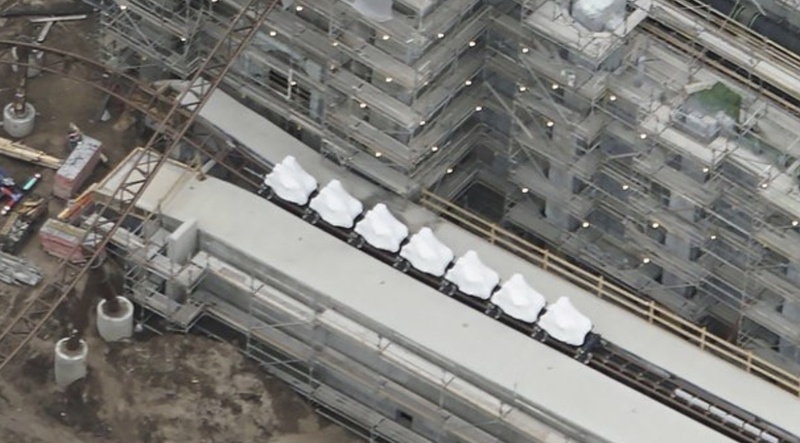 There's now a train on the track at the new Harry Potter ride! A million and one rumours floating around at the moment. Multi-launch coaster seems certain. Guessing this is more white knuckle than a family coaster but it's still a weird choice having two multi-launch coasters so close in both time and space. New trademark in the form of "Universal's Epic Universe" which looks almost certain what they're looking to call the whole resort once Fantastic Worlds is built. Last one is dubious, the "cancellation" of something only rumoured. Zelda and Pokemon worlds on hold until Nintendo World is a proven hit. Makes sense to push something like this back to a phase 2 or phase 3 prospect but there's always the suspicion with these sorts of things that it's just a new site covering itself for some dodgy rumors. That said, with them putting so much into Harry Potter and Jurassic Park, both of which has have badly received installments, it would be smart to add as much diversity to their IPs as possible. From the proposed layout we can infer that the attraction will contain two launches. 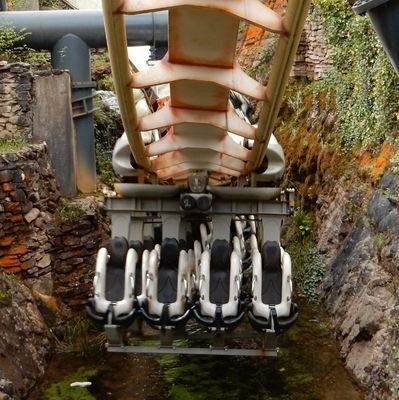 Rumors have had the new ride as an Intamin LSM launch coaster, similar in style to Taron at Phantasialand in Germany. The layout appears to show two launches: one that takes place after a quick show scene near the beginning of the ride, and a second, much larger launch heading towards the lagoon. While it is difficult to determine the heights of the track sections from a 2-dimensional track layout, some rumors have that second launch heading into a coaster maneuver referred to as a “top hat.” A top hat is a very tall segment of track that allows the coaster trains to head nearly 90 degrees up and back down. The layout image shows something that almost appears to be a combination of a top hat and the cobra roll from The Incredible Hulk Coaster though, and not necessarily something that is 90 degrees up and down. Whatever it is, it looks like that second launch will really pack a punch! As we’ve discussed before, the new coaster is rumored to be manufactured by Intamin, the same company behind the new Harry Potter themed coaster opening later this year. It has been rumored to be the fastest multi-launch coaster in the world, beating Taron by a couple miles per hour, which tops out at 72.7 mph. Taron also holds the record for the longest multi-launch coaster in the world at 4,330.8 ft. No word yet on whether the Jurassic coaster will beat that record as well. It certainly sounds like it's going to be a great ride! Universal Orlando have added a new character meet and greet, Guy Diamond the Troll, at their kids area. Guy has a, unique, ability and I presume the best minds at Universal's props and characters departments have been brought in to fully realise his potential. The real cherry on the top of this craziness, is the choice of music that accompanies him and his friends during their centerpiece of the act. I accept absolutely no responsibility for shattered memories as a result of watching the video below. Even knowing it's from the film, that is just way too disturbing. Can't imagine how weirded out people who haven't seen the film will be. Big spoilers - One of the insiders that posts on IU has leaked concept art of the ride and it looks incredible! Universal have people earning 6 figure salaries to come up with their naming and that's the best they can do? Nitpicking aside, great we've got a date and name at last. Universal don't get Disney levels of crowding but the queues are still going to be insane. Wonder how you're going to be held in on the bike, imagine it's a much more intense experience on the more exposed bike, especially for the drop track.